Phone providers compete in part by providing support for as many applications as they can, and everyone is trying to catch up to Apple Inc.’s successful App Store, which has more than 100,000 applications. Microsoft is leaving behind tens of thousands of applications written for different versions of Windows Mobile that go back more than a decade. Few of those applications are up to today’s standards. They’re also designed for phones that came with styluses for precise input. 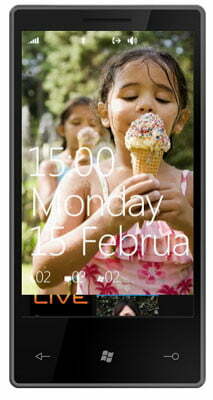 Windows Phone 7 Series is designed for touch screens that work well with fingers but don’t work with fine styluses. Palm Inc. made a similar “clean break” last year, abandoning an operating system that was more than a decade old in favor of a completely new one. However, the new system is able to run applications written for the old one. Kindel said Microsoft still will support Windows Mobile 6.5 “for years to come,” and expects some new devices with that software will come out.